Iron chandelier with white powder coated finish . 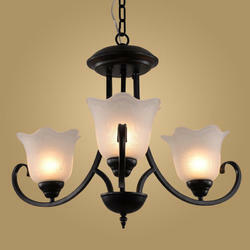 Montalto™, a brand of Logicsun™ , is leader in manufacturing artistic wrought-iron chandeliers in a country chic style. The collection of ceiling lamps, hanging lamps and chandeliers certainly decorates interiors or exteriors gracefully. Offered by us is a wide range of handcrafted chandeliers that adds a touch of elegance to surroundings. Designed by our team of dexterous designers and craftsmen, our range has garnered a wide clientele for itself across the globe. 21st century French cloche wired in the belljar style, antique finish. The dazzling range of Chandeliers offered to clients have provide an awesome look to the interiors of the place where they are used. 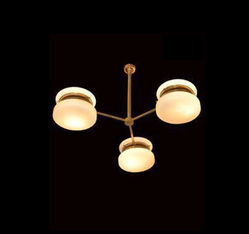 These chandeliers are available in various sizes and the most attractive designs. Our range of exclusive chandeliers provide a grace and an extra charm to the environment. These products are used in various functions, party halls for decorative purpose.